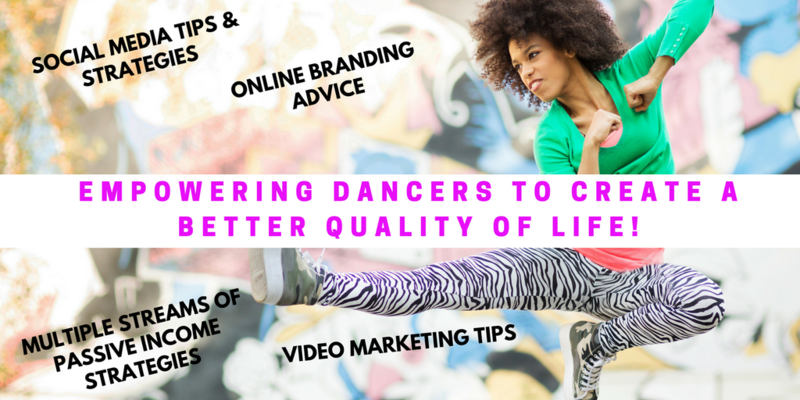 #FinanceYourDance: The Top 5 Social Media Tools To Grow Your Brand - The Let's Talk Dance Blog - Empowering Dancers To Create A Better Quality of Life! 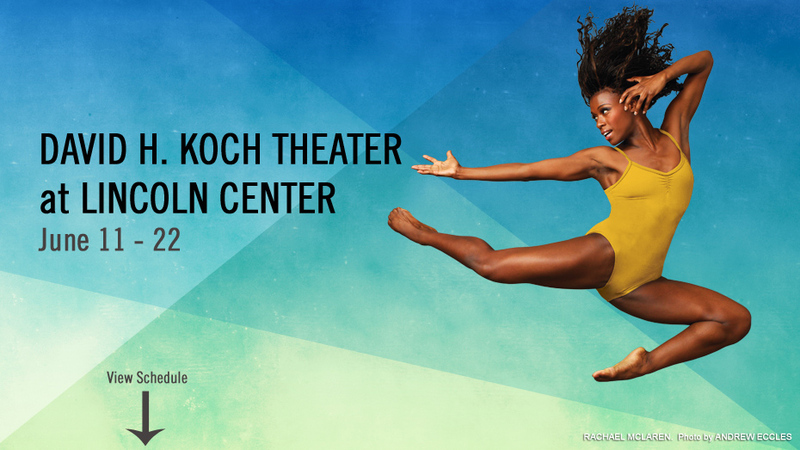 There is one major thing that all dancers have in common (besides choreographing in our head to every song we hear on the radio), and that is, we want to be able to pursue our passion for dance, and earn money while doing so. To be honest, I believe that is the new American dream: to get paid to do what you love. Who doesn’t want that? Part of being able to get paid for what you love, especially if you’re an independent artist, or entrepreneur, is building and growing your own audience. Social media is one of the best ways to building your audience, and there are five main essentials to an effective social media marketing strategy. 1) A Blog – Your blog should represent the true message and mission of your brand. It should add value to people’s lives, and give your readers a reason to keep coming back. This also means that you need to update it on a regular basis, based on your goals, and your schedule. Whatever time-frame you choose, stick to it. The way to keep people reading your blog (besides offering interesting and useful content) is consistency. This is very important. As a dance blogger, you can offer advice on any number of topics, i.e. how to become more flexible, how to get stronger in a certain area of dance, how to prepare for a recital/competition, dancing in college and beyond, dance news and events, life as a professional dancer, or share your thoughts on dance tv shows, review dance performances, etc. I happen to have a passion for social media marketing, branding, business, and media, so that’s what my blog is about. But you can write about whatever you like. The goal is for your blog to be representative of your unique voice, and your brand’s focus, and mission. That way, your readers will not only gain interesting and useful information and perspectives when reading your blog, but they’ll also get to know you better, and connect with you. Your blog can be on your website, or it can be hosted on another blogging platform (what I would recommend) like WordPress, Tumblr, or Blogger. 2) E-mail Marketing – Building a list of supporters and fans of your brand is probably one of the most important things that you can do. I’ve read about successful entrepreneurs who started their business by strictly building a list, and sending out weekly newsletters, before they even officially had their full website up. Your power lies in your list. This is a group of people who have willingly given you access to their e-mail inbox, because they genuinely want to stay connected with you in a personal way, outside of Facebook, Twitter, etc. This is powerful! It’s important to maximize this opportunity by offering consistent value to your subscribers. Do not hit them over the head with solicitations for donations, or ask them for something in every newsletter. Share value, inspiration, and depending on what your brand is all about, share the info that they signed up to receive. Again, consistency and value are key. Do not abuse the inbox of your list, because they can always unsubscribe. However, once you’ve built a solid relationship with your list, you can begin to leverage that list when you do have dance events, promotions, or products to sell. E-mail marketing is a must. You can try Mailchimp, which is free up to your first 500 subscribers, try a free one-month trial with Constant Contact, or a $1, 1-month trial with Aweber, which thereafter is $19 per/month (I personally use Aweber). 3) A Facebook Page – The power of Facebook lies in the power of likes, shares, and comments on your Facebook updates. You want every update that you make on Facebook to inspire your fans to click on Like and/or share, or comment. Why is this so powerful? Because every time a person likes, shares, or comments on your page, it shows up in their Facebook timeline for all of their friends to see. So instead of only your fans seeing your post, you can reach hundreds or thousands of other people on Facebook, through likes, shares, and comments, and also get more “likes” as a result. The types of Facebook updates that get the most shares are inspirational quotes, photos, videos, and links to articles. I recommend using a variety of these types of posts to keep your page active and interesting. Your Facebook updates should not only share your message and info directly related to your brand. They should share useful information and valuable resources, that connect with your fans in a personal way, and encourage interaction, personal reflection, and things that motivate and inspire people. Here’s your ratio: 20% should be posts that promote your brand and 80% should be other types of posts that I mentioned above. 4) A Twitter Profile – Twitter is a service for friends, family, and companies to communicate and stay connected through the exchange of quick, frequent messages. People write short updates, called “Tweets” of 140 characters or fewer. These messages are posted to your profile, sent to your followers, and are searchable on Twitter search. Use Twitter in a similar way that you would use Facebook, but aim to interact more with the people that you follow on Twitter, by replying to other peoples’ tweets and questions. 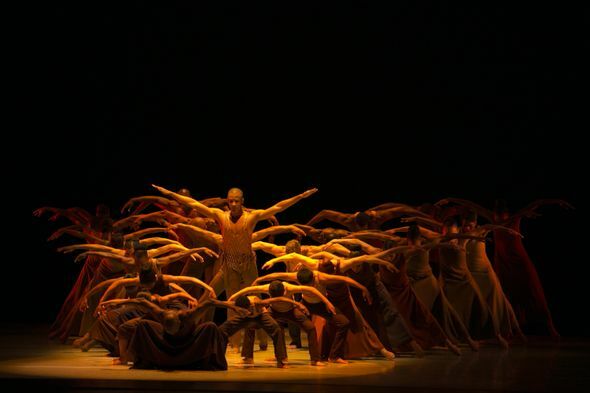 Also, joining our weekly #LetsTalkDance Tweetchat is a great way to connect with other dance peeps from around the world. I also recommend creating a unique hashtag for your brand, that you use to convey a message or theme. Learn more about how to use Twitter below. a) Follow people – This is the first step in using Twitter once you open an account. Most people will automatically follow you back, and you’ve now begun getting Twitter followers. Just be careful to keep the number of people that you’re following, and the number of people that are following you within a close range. For example, you don’t want to be following 800 people, and only have 50 followers. Start small, and grow your following little by little. You should also promote your Twitter page on Facebook, in your e-newsletter, on your website/blog, and in your e-mail signature. Search various keywords like Dance, dance teacher, dance classes, the names of popular dance tv shows, dance blogs, etc., to find people that you might want to follow. b) Reply – In addition to posting your own Tweets on Twitter, you should also reply to other people’s Tweets. If someone is asking a question that you think you may have the answer to, reply, and answer it. If someone posts something that speaks to you, or inspires you, or that you’re curious about, reply to it. Social media is supposed to be social. The more you interact with your followers, the more you will be able to build relationships, connect with people on Twitter, and gain more followers. c) Re-Tweet – If you see an update that you like, a great quote, something related to your mission/message, or something in your industry that may be of interest to you or your followers, Re-tweet or “RT” it. This allows more people to view the update, and gives an opportunity for the person who made the update to have access to new followers. In addition, your name will show up underneath their tweet (“Re-tweeted by @DrCynthiaKBrown”). When people see that you’ve re-tweeted something of interest to them, they may go to your page and follow you, because they see that you have something in common with them. People also appreciate that you like their Tweet enough to Re-Tweet it, and it helps to start a conversation and build relationships. d) Say “Thank You” – Now that you know how to use Twitter, be sure to show appreciation to your followers when they mention your name in an update (@username), or Re-tweet (RT) one of your tweets. This is all a part of building rapport and building relationships with your followers. You can also make an update and tag your new followers, by simply using @username, e.g. @ashanimfuko, to say “thank you for following me”. People really do appreciate these little details. e) Follow Friday – Every Friday is Follow Friday on Twitter, also known as #ff. This is when your followers recommend people for you to follow. You can recommend as many people as you like, and also Re-Tweet other people’s recommendations, and gain access to new followers. All you have to do is put #ff and @username (whatever the person’s Twitter username is), into an update, and you’re on your way. You should definitely participate in follow Friday every week, and recommend some of your favorite people on Twitter to be followed, in addition to re-tweeting other people’s recommendations. 5) A YouTube Channel – Videos are one of the hottest and most popular mediums within social media right now. You MUST have video as part of your social media marketing strategy. YouTube is a quick, easy, and extremely popular platform that you can use to promote your dance studio. Search engine optimization and Youtube are practically one in the same. If you do a search on Google under any topic, Youtube videos will always come up within the search results. Upload awesome dance videos to Youtube, and encourage your fans, followers, and subscribers to like and share your videos. The more views, and the more likes you have, the more visibility your videos will get on Youtube, and on Google. You can upload videos from dance classes, dance events, performances, competitions, in-studio events, behind-the-scenes videos, testimonials from students/parents, even short video intros from your dance company members, or teachers at your dance studio. The possibilities are endless. Setting up an account takes about 45 seconds. Do it today, and you, along with all of your social media contacts, can share the videos on your Facebook page, your Blog, Twitter page, and your website too! Videos are one of the most powerful tools that you can use, because people can connect with you in a more personal way, and everyone loves to share videos on social media. Okay, so that’s an overview of the the top five social media tools that you should be using to grow your brand. If there is one on this list that you’re not using yet, I suggest that you add it to your current social media marketing strategy today. How have these social media tools helped you grow your brand? Leave your comment below, and let me know which one(s) are most effective for you. Please like and share this post on Facebook, Twitter, Linkedin, and Google+ if you found it helpful. 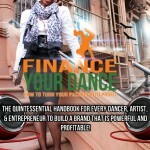 Purchase The “Finance Your Dance: How To Turn Your Passion Into Profit” Ebook Today!